Indah dress via Principessa. Urban Outfitters hat. Jeffrey Campbell shoes (old). This colorful original from Indah became one of my favorite dresses to glide in. It's so light and airy and the vibrant embroidery made for a unique show. 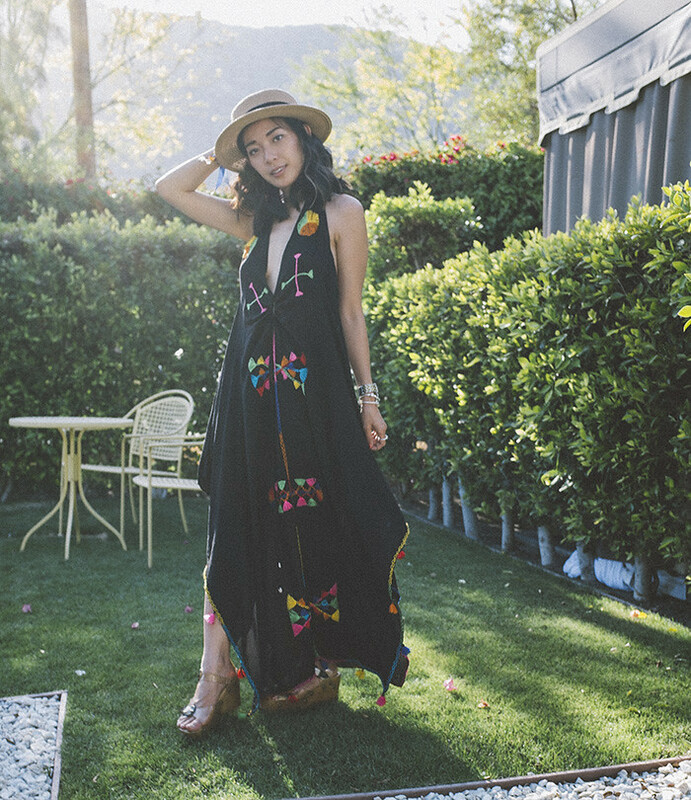 I picked this dress up last month at Principessa boutique during the Coachella-LA party - if you're visiting Abbott Kinney Blvd, you must stop in. I guarantee it'll be impossible for you to leave empty-handed.